The TOP 5 reasons I started a Podcast!! Is what I'm doing to launch this fun, exciting, and in alignment with my business values? If the answer is yes, than great! If it feels like something that might be a drain or not 100% in alignment, I stay far far away. THIS is the secret to a successful launch. You walk away feeling excited and leave OTHERS feeling inspired and loved as well. Those of you who helped support the podcast were entered into a giveaway and those names were announced yesterday over on Insta! Alright friends, now it's time to dive into the many reasons why I decided to launch this podcast!! 1. Over the past several years I’ve witnessed thousands of women confronting the top lies that have held them back in business. And although each of us are so different, all of these lies are similar. I wanted to create a space for women to come, share their story of triumph, and no longer feel alone on this journey. 2. I’ve noticed that the more vulnerable I’ve been and the more of my own story I’ve shared, women have said “you sharing this, gave me the strength to begin working on the same exact thing.” That’s what this podcast is ALL about—giving women the permission to be ok with the messy. Personally, I’ve been drawn to podcasts where women have shared the real, raw, and ugly. I’ve found my own healing knowing that I am not alone and let alone crazy for experiencing these limiting beliefs. 3. I have some pretty awesome friends and feel abundantly blessed for these connections. Selfishly, I’ve been craving more time with my business besties and this gives me the excuse to call them up and spend some extra time with them! This is a way for us to cultivate our friendship even more by me asking them some hard questions that we may not have ever gone to or have overlooked during our friendship, which strengthens our bonds that much more. 4. In my process of writing a book, I realized this could be a great companion to the methods and steps I give for overcoming these lies. 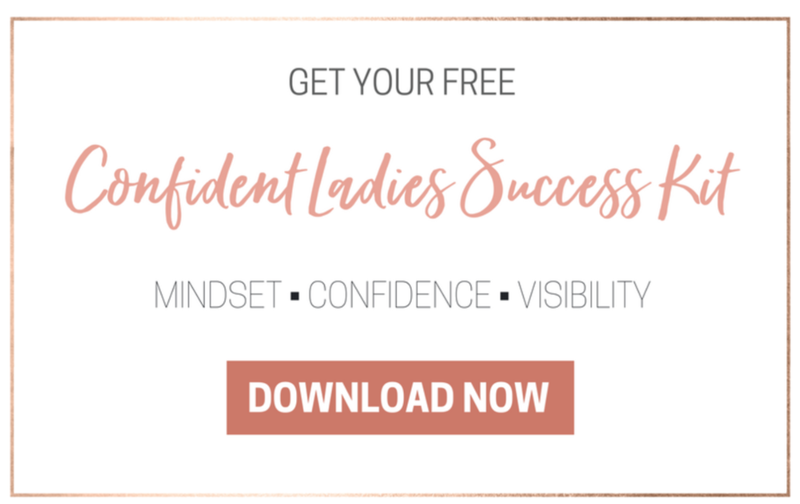 So ......READ the book for the actionable steps from Kate’s perspective and LISTEN to the podcast to hear perspective from dozens of women who have overcome or are still overcoming. 5. I was ready to try something out of my comfort zone! I shared with you all about how over the years I’ve had to work on my fears of public speaking. I’ve gotten down running groups, filming videos, doing livestreams, hosting workshops, guest expert speaking, etc. But the thought of a podcast? BARF. Would be a ton of fun IF I WEREN’T SO SCARED. And you know what I would tell a client? This means you need to do it if it’s something that EXCITES you, yet makes you a little anxious. THIS = an opportunity for GROWTH. BONUS! My intention for this podcast was to deliver DEEP + POWERFUL messages with actionable steps in 45 minutes or less. You'll see that some are as short as 17 minutes and others as long as 45. I know you ain't got time for an hour+ episode!! Personally I listen to podcasts that are on the shorter end because I feel good knowing I'll finish them and when they're longer I don't always go back to finish. So for those of you who haven't listened yet, know this podcast is structured with a time limit for you busy bees! Love you lady and hope you come on over to subscribe! It would mean the WORLD TO ME. And if you do, please screenshot and share with me so that I can give you a shout out! Newer PostEver feel like the market is saturated?